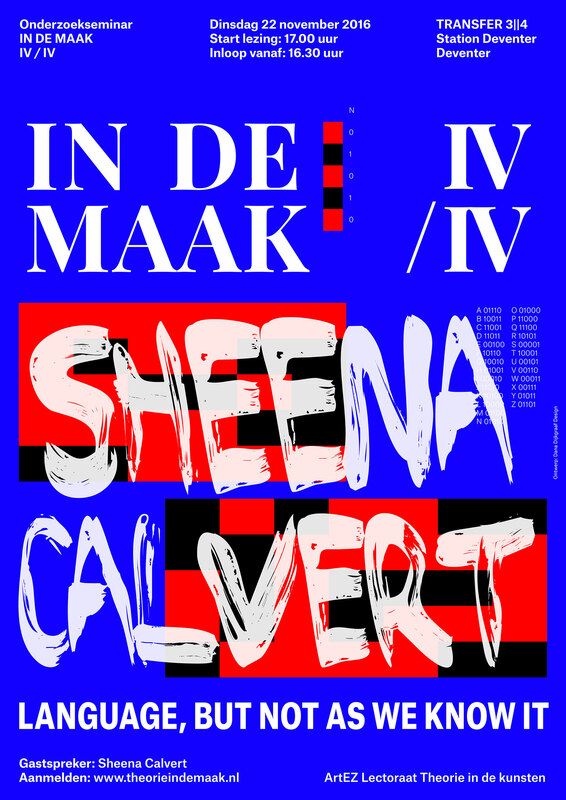 'In the Making' is a series of four lectures organized by The Professorship Arts and Cultural Education from ArtEZ, University of the Arts. 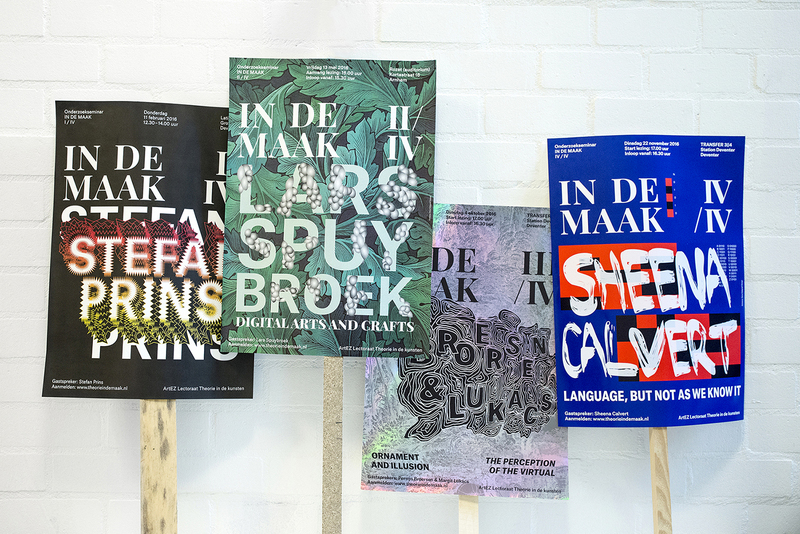 For every lecture, we have designed a typographic poster. In each lecture there is one artist that shares their story. During the lecture he examines the role of theory in his or her work. For the graphic design, I have made typographic portraits inspired by the artist’s work. 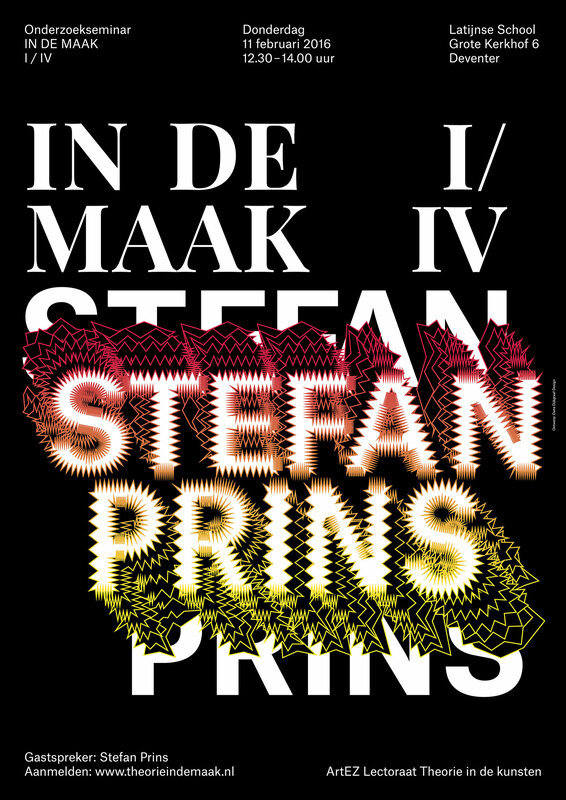 For the first poster for Stefan Prins (composer of electronical music), I have made typography with a ‘electronical’ appearance. 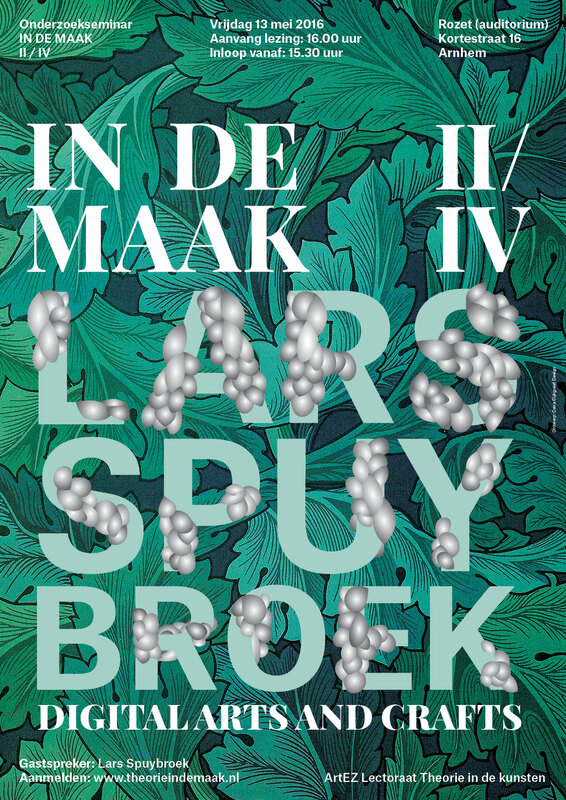 The typography on the poster for Lars Spuybroek, has a kind of ‘bumps’ on it, based on Spuysbroek’s architecture. The third one is more magical. 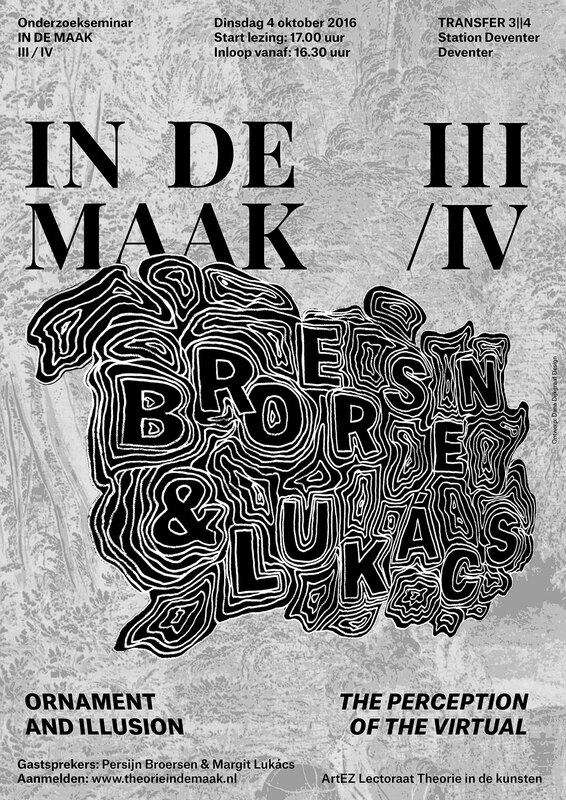 Broersen & Lukacs create digital 3D works with 2D elements. I have used the same method for the typography. 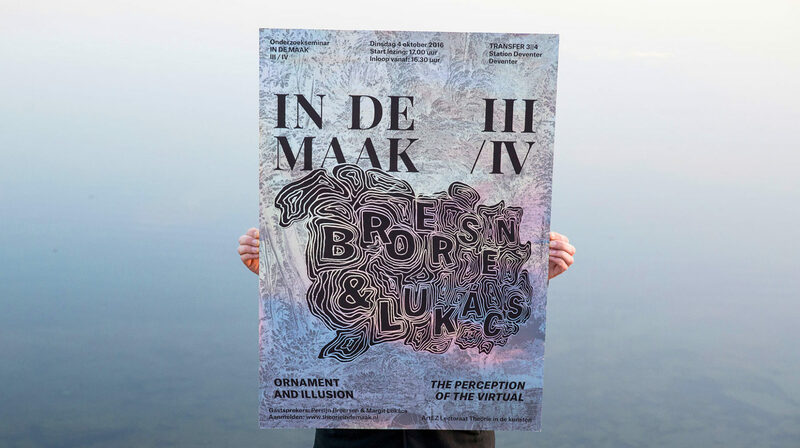 Printed on holographic paper, it suggests a limitless (digital) world. For the fourth poster, I have made a visual metaphor for computer language (0101). Sheena Calvert researches one theme: can a computer mimic the human language enough to make you think it is human? 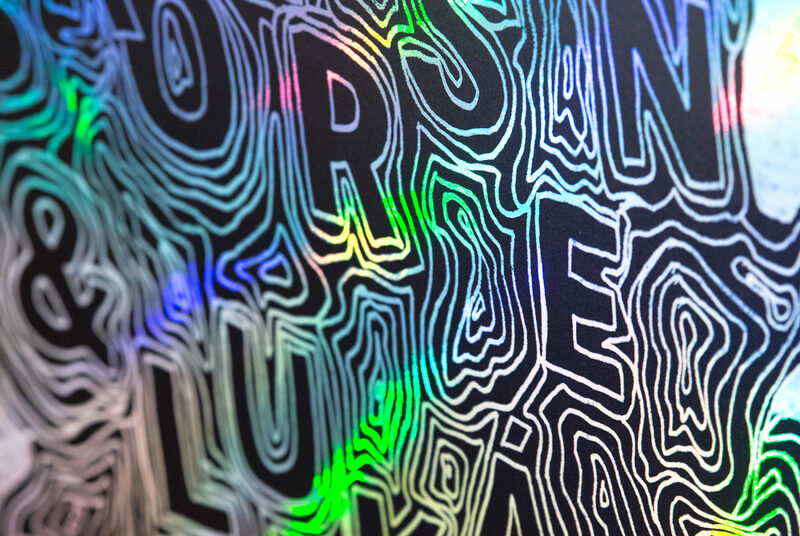 One of the posters is printed in holographic paper!